I’ve been back at school from my Maternity Leave for the past five weeks, and am now on my last week of Winter Break. I missed my students, they appeared to have missed me as well, and I have returned with new books to share and new ideas to implement both in the classroom and on this blog. This book is part of the Dear Canada series. 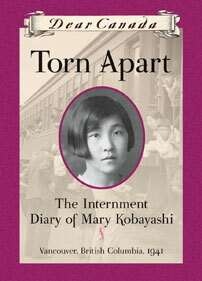 Mary Kobayashi is living in Vancouver on the eve of the Pearl Harbor attack on December 7th, and the book chronicles her experiences as a Japanese Nisei both on the west coast and in the British Columbia internment camps. I enjoyed the first half of the book more than the second half, as I did not know most of the hardships Japanese-Canadians had to endure in Vancouver before they were all sent east into the BC interior. The second half of the book did not give me much new information, but only because I have visited Internment museums in New Denver and Kaslo with family friends and former residents of the internment camps. However, I would recommend this book to students living on BC’s west coast, as it gives a unique perspective to a time in BC’s history that deserves discussion. Some of the girls in my class have been looking for new dystopian novels to read, and I have been trying to help by reading a few selections recommended by our school librarian. 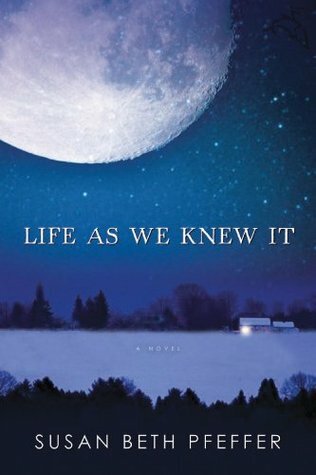 Life As We Knew It is unique because it shows the very beginning of the apocalyptic event that would lead to survival in a new world. A meteor hits the moon and knocks it closer to Earth’s orbit, causing horrific tidal waves, earthquakes, and volcanic eruptions. Miranda and her extended family must figure out how to survive in these conditions, with no electricity, freezing temperatures, and food supplies running low. If it is possible, I both liked and disliked the book because it was so real. Pfeffer completely brought me into Miranda’s world, and I finished the book very quickly, but it left me uneasy because I like to be a little bit more separated from my dystopian novels and this situation seemed all too likely. Still, it might be a good suggestion for the students who are devouring dystopian novels at a rapid pace. This is another book from the Dear Canada series. I think I liked this book because it discussed the Underground Railroad and how former slaves made it to Canada to live and work, which is a part of Canadian history I knew almost nothing about. Julia May Jackson and her family decide to run from their masters in Virginia, and eventually make it to Owen Sound, Ontario to start their new life. I liked how the issues of racism were addressed in this book, as Julia still had to contend with prejudice as a free person in Canada. This would be a good book to introduce to students as they study 19th century Canadian history. This book is a re-read for me, but again I thoroughly enjoyed Roald Dahl’s recollections of growing up in England in the 1920’s and 1930’s. His short chapters are filled with the warmth and humour that we are so used to in his fiction stories, and I loved seeing how some of the ideas for his stories got their start as real life recollections. I plan on using some of his experiences for reading lessons this year. This book continues with Dahl’s life experiences after school, as he works for the Shell Company in East Africa and then joins World War II as an RAF fighter pilot. I do not usually like reading war stories with long descriptions of fighting, but Dahl managed to keep my interest as he related his experiences fighting the Germans in Greece, Syria, and Palestine. I plan on recommending this book to a few of my students in the new year to see if they appreciate the action and storytelling as much as I did. I am both anxious and excited to start 2014 with a heavy emphasis on independent reading in the classroom, inspired by Donalyn Miller’s The Book Whisperer. Any book recommendations for improving my classroom library would therefore be appreciated.